Over this last year, the voices of First & Main members have been vital for striking down the most drastic proposals to cut critical federal programs and preserving—or even expanding—the key planks in the First & Main Blueprint during the FY18 budget debate. But cuts and changes to these programs could be on the horizon once again. Congress is expected to complete the FY19 budget after the election, which is why it is so important for Congress to hear from their constituents now. It’s not too late to become a part of First & Main! Elected officials, join today! In an effort to strike down the most drastic proposed federal cuts, the local elected leaders in the First & Main coalition convened meetings with their members of Congress, toured sites where federal grants or programs made success stories possible, or held other local events to highlight the importance of federal programs and investments to the prosperity of their local communities. Here’s a sampling of some of the events around the country. Fulton County, NY Supervisor Gregory Young partnered with a local business development center to host an event at a local brewery that received a microenterprise grant from the U.S. Department of Housing & Urban Development and a Community Development Block Grant. Thanks to those federal resources, the Stump City Brewery is an important contributor to the economic success of Fulton County and the Gloversville, NY area. Not too far away, in Ithaca, Mayor Svante Myrick met with the offices of Senators Charles Schumer and Kirsten Gillibrand to discuss the importance of federal transportation investment and how the First & Main coalition depends upon a strong federal partner to revitalize small and mid-size cities like Ithaca. Mayor Myrick stressed that programs like the U.S. Department of Transportation’s BUILD grants help leverage significant local, state, and private support for critical infrastructure improvements. Ithaca is pursuing BUILD funding to develop Complete Streets along its waterfront. A team of local officials from Frankfort, KY, where Mayor William May is a First & Main member, traveled to Washington, DC to meet with their congressional delegation during Rebuild America’s Communities Week. 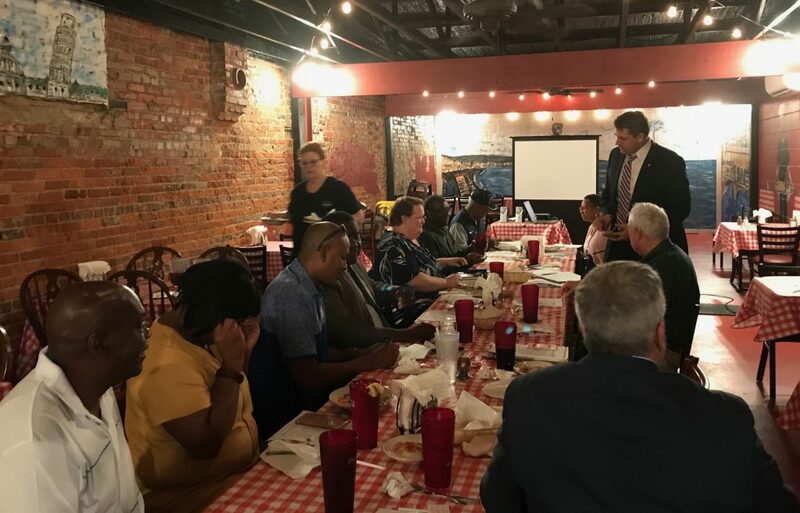 The delegation, which included Commissioner Robert Roach and City Manager Cindy Steinhauser, thanked their members for enacting federal tax legislation that included the Opportunity Zone program and let them know that Frankfort is ready for investments to help turn around distressed neighborhoods. Frankfort’s leaders urged the Internal Revenue Service to quickly develop guidelines for Opportunity Zones that can unleash this private sector funding. In Dubuque, IA, where Mayor Roy Buol is a First & Main member, City Manager Mike Van Milligen met with Congressman Rod Blum and thanked him for his support of the federal historic preservation tax credit program which has helped Dubuque make long-lasting investments in their downtown. And Congressman Blum expressed his ongoing support for the City of Dubuque’s flood mitigation efforts as they seek to become more resilient and prosperous in the face of natural disasters. The gathering of mayors in Mississippi with representatives from Senator Roger Wicker’s staff. Down in Mississippi, six mayors from the east-central part of the state gathered to meet with Senator Roger Wicker. In addition to Quitman Mayor Eddie Fulton, who organized the meeting, Meridian Mayor Percy Bland, Louisville Mayor Will HIll, Heidelberg Mayor Wilbert Carr, Philadelphia Mayor James Young, and Morton Mayor Gerald Keeton all attended. The Senator unfortunately had to miss the meeting to stay behind in Washington for a vote, but Andrew Hinkebein, the Senator’s Southern District Representative, heard their powerful call to support the First & Main blueprint and brought all of the local officials up to speed on the upcoming budget being developed for 2019. Senator Wicker has been and continues to be one of the most outspoken advocates for restoring passenger rail service to the Gulf Coast, which remains one of the highest priorities for many of the local elected officials who represent the communities further south on the coast. It’s hard to overstate the value of these members of Congress hearing first-hand stories from the elected officials who understand the value of federal programs and funding better than most. Local mayors, councilpersons, and other local elected officials are pragmatic people who care first and foremost about making a tangible difference in their communities. 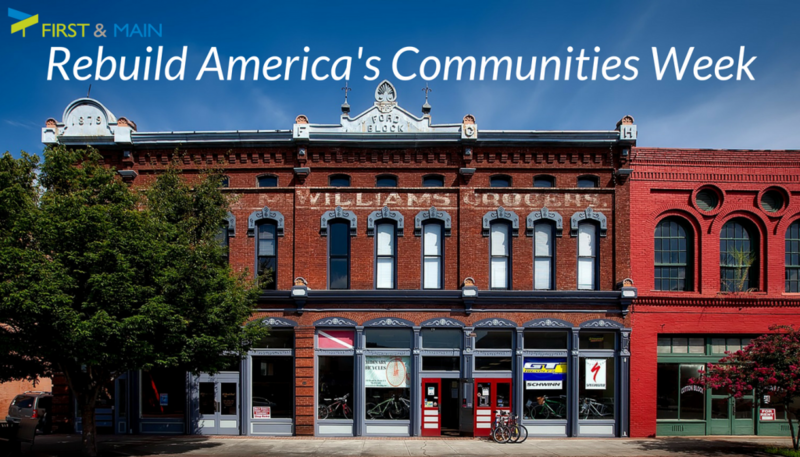 They know that promoting the vitality of the kinds of places represented by First & Main is key to America’s prosperity, and are the best possible messengers to make it clear in Washington that they’re counting on a reliable federal partner for resources to support their homegrown, local efforts. If you want to join your fellow elected officials in advocating for the kinds of federal partnership necessary to building great hometowns, join the First & Main coalition today.